DW has unveiled its latest entry-level kit - the Pacific Mainstage. The line is designed to offer a turnkey package to new players and educators. 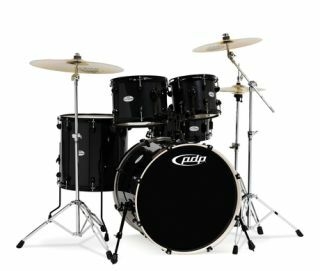 The five-piece kits come loaded with FAST sizes and a hardware pack crammed-full of the gear you need to get you started, such as a straight stand, hi-hat stand, snare stand and a throne, as well as a set of Sabian SBR cymbals. Jim DeStafno, Vice President of Sales for DW, said: "We had amazing success with our entry level Z5 Series last year, but we felt that we could still offer drummers an even better value if we paired up a similar shell pack with stands and cymbals." For more details head to www.dwdrums.com and for help finding the perfect kit check out the Rhythm Buyer's Guide, which you can find in each issue of the magazine.